Hatun Rumiyoq is a stone wall (green diorite) located on the street of the same name. It must have been part of the palace attributed to Inca Roca. It covers most of Hatun Rumiyoc Street; A world famous street because it houses the “stone of the twelve angles“, famous for the perfect assembly of its 12 corners and its sides, with the stones that surround it. 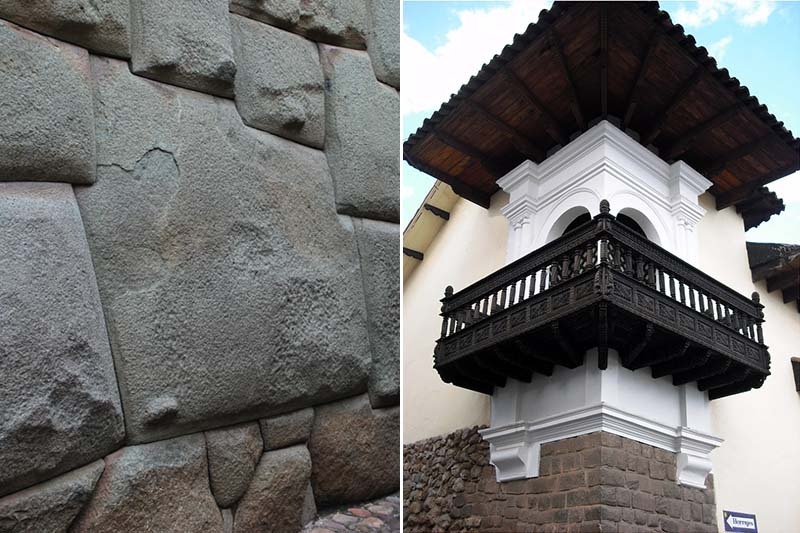 This wall has overlaps of colonial and republican structures, and at present it is occupied by the Archbishop’s Palace and the Museum of Religious Art of Cusco. In this place the architects had to build a kind of platform, to level the ground, since here begins the steep slope that leads to the traditional neighborhood of San Blas. It is located about 200 m from the Main Square of the City of Cusco, in Peru; Is reached in the northeast direction by the side of the Church of the Triumph; From here walk straight and you reach the pedestrian street Hatun Rumiyoc. What does Hatun Rumiyoc mean? According to some scholars Hatun Rumiyoc means “house that has large stones or that has a large stone”. This palace was built by Inca Roca and had a residential function, for the members of his panaca “Ayllu WaqaK’irau” (where the sacred object lies). After the Spanish invasion, the palace of Inca Roca was partially dismantled, to build the colonial residence of the family Valverde Contreras and Xáraba, marqueses de Roca fuerte. Soon to become the archbishop’s palace. Although most of the wall in front of Calle Herrajes has been lost, there is still a perimeter of 190 meters that can be observed, the same that exhibits the skill and particular aesthetics of the carvers of the Tahuantinsuyo Empire. 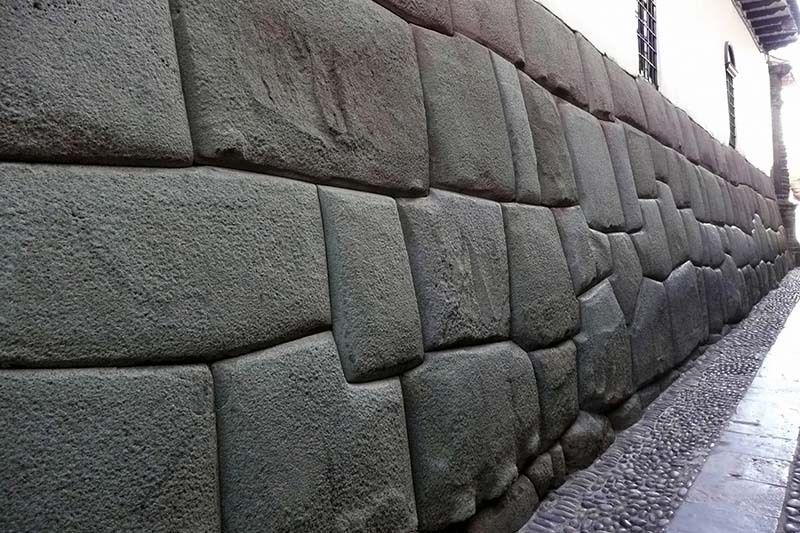 The wall of Hatun Rumiyoc Street is a formidable example of the polygonal assembly of stones; Which was used by the Incas to build supporting walls. You may also notice that in the south wall, the polygonal assembly is not structural, with a veneer that serves as a cover for a rough wall that serves as a support. Hatun Rumiyoq is the most traveled street by tourists in Cusco, it goes from the Main Square to the neighborhood of San Blas and houses the famous stone of the 12 angles. What to see in Hatun Rumiyoc? In the Hatun Rumiyoc street of the city of Cusco you can see an old Inca wall, which forms part of the palace of Inca Roca. This wall is an admirable example of the high level of engineering and architecture achieved by the Incas. In this structure stands the so-called “Stone of Twelve Angles“, famous for the perfect work and assembly of its corners and sides. It is a colonial building erected on the old walls of the palace of Inca Roca, in the Archbishop’s Palace we can find the Museum of Religious Art, which houses an important collection of religious paintings and the colonial era. The street Hatunrumiyoc can be visited 365 days a year, 24 hours a day, and admission is free.